Are you ready for more drama, excitement and emotion than anywhere else? Our easy-to-use app puts you at the heart of the action, with an unrivalled world of gaming at your fingertips. Wherever you are, whatever you bet, experience every single spine-tingling moment - every last-minute winner, every match point, every clutch putt and much, much more. •	More markets: Get access to more markets than any other betting provider. 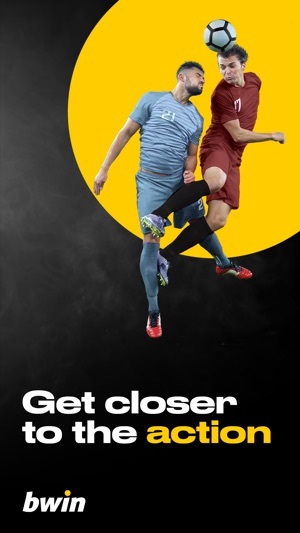 •	More bets: Get up to 30,000 bets daily with betting action in almost 100 sports. •	More control: Check and edit your selections as much as you like before confirming your bet, and Cash Out anytime with a single click. •	More insight: Get in-depth live football stats to keep tabs on how teams are performing, and live stream matches and other events. •	More variety: Easily switch between sports betting and casino to play a range of classic casino games including Roulette and Blackjack. Our slick interface makes it easy to place single, multi and system bets and build the bet that’s right for you. You can also check your placed bets and see a detailed view of your bets. 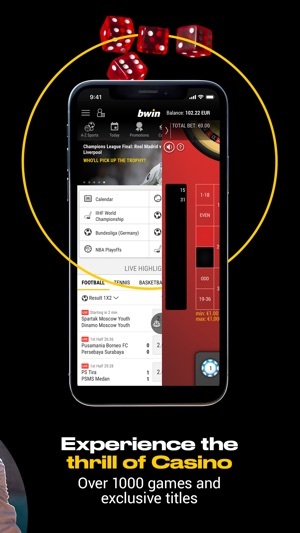 Use the odds change feature to quickly and easily make in-play bets on hundreds of live events. Watch thousands of live events in full screen so you don’t miss a moment of the action. No need to wait around. Get real-time notification of your FreeBet and use our simple interface to bet quickly and easily. We boost odds every day on everything from Footbal to Tennis to Basketball and much more! Participation in the bwin gaming line-up is only permitted for persons aged 18 and older. In order to prevent any abuse, please keep your access data (user ID, password, question-answer combination) in a safe place. 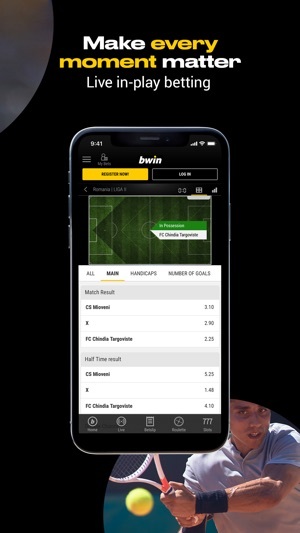 Make the most of bwin by updating to latest version. We make frequent improvements and bug fixes based on your feedback. So don’t forget to rate the app and leave us a review. 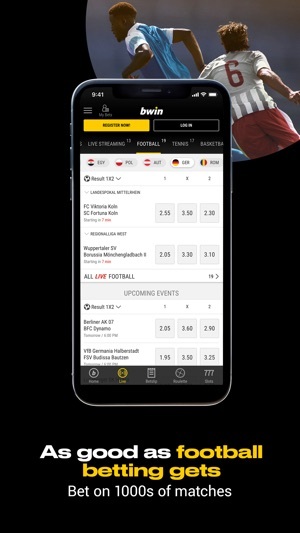 App is very slow, expect very bad in play odds, very difficult to find out how to disable your account, it’s in advanced settings, not under responsible gambling. If you withdraw it stays there for a few days I assume to tempt you in to reversing it and then a further 4-5 days to go to your account. Clear that most of the reviews are bots to even out the rating otherwise it’d be 1 star. Apologies for your inconvenience. We looked at your problem and to solve the issue we need more information from you. 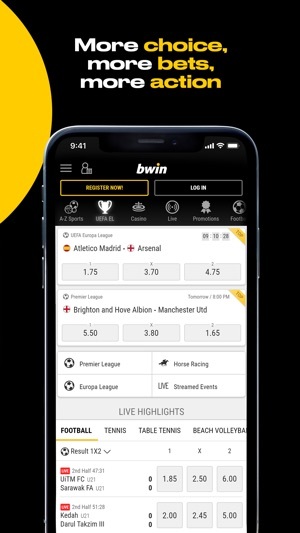 Could you contact us at https://www.bwin.com/en/account/contact or call (44)2039380862 for further assistance? Waiting to hearing from you and sorry for your bad experience. I’ve been waiting for a while for this upgrade. The app felt like no one has touched it for years. Copyright © 2018 ElectraWorks Ltd.